When you take a look at the investments in your current 401k or IRA, what do you see? A mix of stocks, bonds and maybe even a few mutual funds? That’s the usual mix for most investors and even more common for those who are investing solely for their retirement needs. The main issue with this is the limited ability to diversify their portfolios, which ultimately leads to a vulnerability in the portfolio and an inability to maximize profitability. The good news is that there is a solution to this problem. Bitcoin offers you the ability to invest in a new digital currency. This new currency is not as dependent on the U.S. Dollar for its valuation, making it less susceptible to downward movements in the financial markets. It moves to the beat of its own drummer, so to speak, based more on its use in the marketplace and the ever expanding base of vendors that are choosing to accept it at the point of sale. Furthermore, like cash, Bitcoin spending occurs as a peer to peer transaction from one Bitcoin spender to the next. In other words, it’s passed along from one computer to another, like cash that is passed from one person’s and to that of another. The U.S. Dollar is the gold standard when measuring the global economy. It’s very sensitive to movements in the markets, especially to downward trends. As such, when the dollar weakens, the world’s economy weakens. This is also true when it comes to the stock market. Think about this for a minute. Stocks are valued in dollars. When the dollar weakens, the stocks that rely on it for their valuation begin to diminish in value and thus the portfolios invested in stocks also begin to devalue. And those that hold those accounts begin to wonder why they invested their hard earned money at all. Consider this for the moment. The great recession of 2008 was caused by the overinflation and then the sudden devaluation of the dollar. Everyday investors that had been squirreling their money away in 401ks and IRAs for their retirement lost everything they had saved because of the weakening of the dollar during this time. Being invested in assets that didn’t depend so much on the value of the dollar could have helped these individuals stave off financial disaster and prevented them from having to put off retirement while trying to rebuild wealth. An asset like the Bitcoin. Bitcoin is the ideal hedge against the dollar. Consumer and vendor acceptance of the use of Bitcoin at the point of sale is increasing at a phenomenal pace, increasing the value of this cyber currency as well as validating its designation as a viable currency. While many experienced investors stick with gold as a hedge against the devaluation of the dollar, gold will never be able to offer the same potential for increase as Bitcoin, making it a better bet for those who are looking to make up ground as well as for those who are looking to ensure that they have enough in their retirement savings to allow them a more luxurious lifestyle after retirement. Return on Investment: Bitcoin has pioneered the foundation of a new and regularly acceptable digital currency. As such, it’s poised for growth and return as a leader in its sector. A mere $200 investment in Bitcoin in 2011 would be worth well over $1 million USD today! That’s over 500,000% return in just a few years. Privacy & Security: Bitcoin is a currency that offers greater privacy and security than its government counterpart. Because it uses the internet, Bitcoin avoids the existing proprietary electronic financial highways of banks, credit card companies, and money transfer agents. That means it also avoids their speed limits, tolls, radar, and patrol cars. Furthermore, Bitcoin transactions use state-of-the-art cryptography, information is much more secure than a credit card transaction. Privatization of your money is the ultimate source of privacy and security for investors today. Bitcoin is the last line of true private money today. Freedom from the Banks: The original premise of a bank was safe storage of deposits while building sound credit in a bank. Today’s banks are tightly regulated by the government. As a result, banks have greater control over your money, such as limits on how much of your OWN money you can withdraw. Tax Benefit: With the ability to place bitcoin in an IRA, you can now access this private and growth driven currency using retirement funds. Take advantage of the next generation of money with tax-deferred funds! 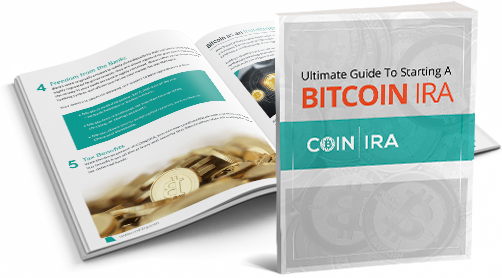 A Bitcoin IRA is easy to start. All you have to do is contact us to get started.